ExactDrive Inc., a leading online media buying platform with managed services for behavioral, retargeting, mobile, video and other advertising services with offices in Milwaukee, WI and Minneapolis, MN, has been accepted into the Forbes Agency Council, an invitation-only community for executives in successful public relations, media strategy, creative and advertising agencies. ExactDrive's Co-Founder, Timothy Nichols, joins other Forbes Agency Council members, who are hand-selected, to become part of a curated network of successful peers and get access to a variety of exclusive benefits and resources, including the opportunity to submit thought leadership articles and short tips on industry-related topics for publishing on Forbes.com. Ad viewability is a buzzword of sorts. But it’s a buzzword that is grounded in logic. Because any conversation about ad viewability is really a discussion about how a campaign has performed. Online ad viewability is attracting a lot of attention from advertising who are becoming obsessed with who is seeing ads. Viewability-based metrics are being forensically studied, but in doing so, aren’t we missing the whole point about advertising? Namely, that advertising isn’t an exercise in vanity. Brands shouldn’t be chasing views, but instead focusing on putting the right ads in front of the right people at the right time. Advertisers are often reluctant to pay for low-viewability inventory, while the topic of the day always seems to be wasted ad spend. Ad viewability is an important subject matter, but only in the right context. To that end, here are 3 things about online ad viewability that need to be addressed. 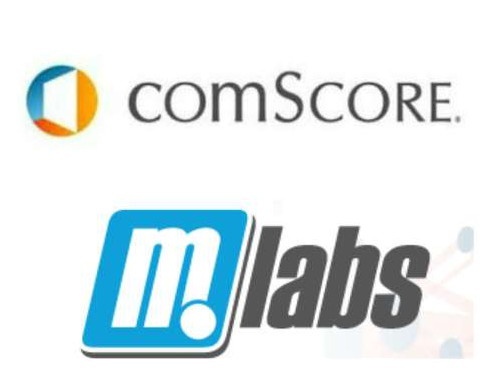 comScore knew they were buying a great brand when they agreed a deal to acquire MdotLabs last summer. Technology and the Internet have combined to create a vast digital world that’s growing every day – and MdotLabs used innovative techniques to focuson something very important: helpingfight online fraud. More specifically, we’re talking about protecting advertising companies from potentially malicious web traffic and ExactDrive is excited to be in partnership with mDotLabs (comScore). Fraudulent attacks on the digital advertising industry are a big issue and, as such,protecting an advertising campaign has never been more necessary. Non-human traffic, click-farms and other shady bot-related activities gobble up roughly $14 billion in advertising spend. That figure is thought to amount to between 25% and 50% of ad spend per campaign. Would you like to grow your ad business? Then why not check out LiveRail? LiveRail, a Facebook company is a monetization platform for publishers, broadcasters, and app developers. Put simply, LiveRail’s technology helps businesses maximize their ad revenue. And let’s face it, that’s music to a lot of ears. Setting up a business to take transactions is one thing, while effectively monetizing a product or service is quite another. But while those tasks are difficult enough, getting the most out of your online advertising campaign is a great way to monetize something. Businesses need to sell their inventory in a smart and safe way, but that’s often quite a complex challenge, regardless of how big the publisher in question is. When it comes to online advertising campaigns, effectiveness is clearly everything. No business wants to waste any of their ad spend, that much is obvious. But what other areas can we look to improve ROI? The trouble with many online ad campaigns is that there is often a lack of visibility. It can be hard to make data actionable and to create consistent, meaningful measures. That is to say, there’s often a lack of accountability. ExactDrive's partnership with DoubleVerify helps us provide our advertising clients with media transparency and accountability that delivers the absolute highest level of impression quality for maximum advertising performance. Campaigns are very much seen as either a success or a failure. But like a lot of things, it’s not always black and white - there are also shades of grey. And with online ad campaigns, there are lots and lots of shades. 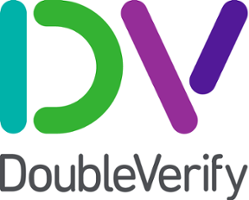 However, why not let DoubleVerify shed some light and help you out? Do you want better results from your ad campaigns? Well last year, Oracle bought BlueKai as an investment, because it wanted to remain the world’s largest marketing cloud. So, what is BlueKai? Well, BlueKai is essentially a data management platform that provides third-party data to companies so that they can advertise online more intelligently. But that doesn’t do BlueKai justice really. We’re actually talking about a data solution that can draw on a huge resource of customer data quickly and easily, allowing for effective and laser-targeted online ad campaigns. Expect a high ROI and a real transformation to your bottom line. Let’s drilldown into the details. 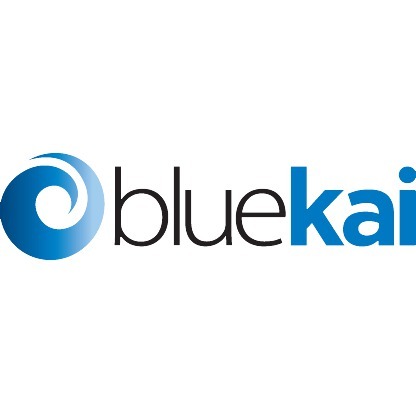 BlueKai’s big data platform allows companies to personalize online, offline and mobile advertising campaigns. And we all know how important bespoke, personalized marketing is in today’s world, don’t we? Business is tough in almost every industry these days, but if online advertising is your thing, help is at hand. We think there are 5 online advertising tools that you must take advantage of if you are to leap ahead of your rivals and super-charge your profits. Your first priority is to use the ExactDrive ad platform. Okay, so we’re blowing our own trumpet somewhat, but it’s a pretty powerful service. Put simply, we built a simple and transparent real-time media buying platform that makes Internet advertising easier for small to medium-sized ad agencies (note: we love helping large ad agencies and brands as well). From selecting your specific demographics and choosing the ideal website inventory to target, through to actually scheduling your ads, the ExactDrive ad platform is an intuitive tool that will automate all your campaigns and help you regain control over your business. Finding a reliable company to host your website can often be quite a mission. 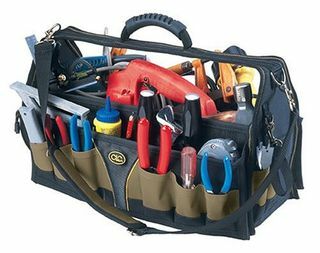 Finding one that can manage things for you and is flexible enough to provide other services is even harder. But Rackspace manages to tick all the boxes and ExactDrive is excited to have them as an active partner to host our advertising platform software and website. Rackspace has a great image. They offer a cloud-based hosting solution, but unless you want to know all about how they work, they try and leave all the techie terminology at the door. So this jargon-free company is a bit of a Godsend. Rackspace offer scalable servers, so it doesn’t matter whether you have a website for a startup or a mid to large business. Importantly, they offer bespoke hosting solutions, so you can rest assured that you’ll always be getting a solution that’s tailored to meet your needs. That means that they offer different solutions depending on whether you’re focused on the retail industry, finance, online advertising, manufacturing, the public sector and much more. As the saying goes, people won’t always remember what you say, but they’ll always remember how you made them feel. In today’s business world, every industry is super-competitive and, as such, consumers expect more from brands. In particular, they’ll have extremely high expectations of your customer service abilities - and that’s where Desk.com comes in. Desk.com offer online customer service software and a support ticket help desk app. It’s a very powerful solution for companies, such as ExactDrive, who are inundated with other demands and perhaps would be better off focusing their attentions elsewhere. The entire desk.com experience ticks all the boxes. For starters, there’s an easy setup, so if you’re a bit of a technophobe, there’s no need to fret. The software also integrates your business to bring all the relevant support points together. This doesn’t just make it simpler for you to manage your business, but it obviously makes life easier for your customers.